Learning the make up ABCs: Let’s start with the BB Cream! I know all of us have heard of how this 5-in-1 invention proved its excellence in the cosmetic market and how it lessens the burden of putting five separate products into one. But what does BB Cream really do? A primer, a moisturizer, an age-defying product, a sunscreen, topped with the guaranteed coverage of a foundation – these are the nifties a German dermatologist has given the market by pioneering one of the prominent cosmetic products of all times. 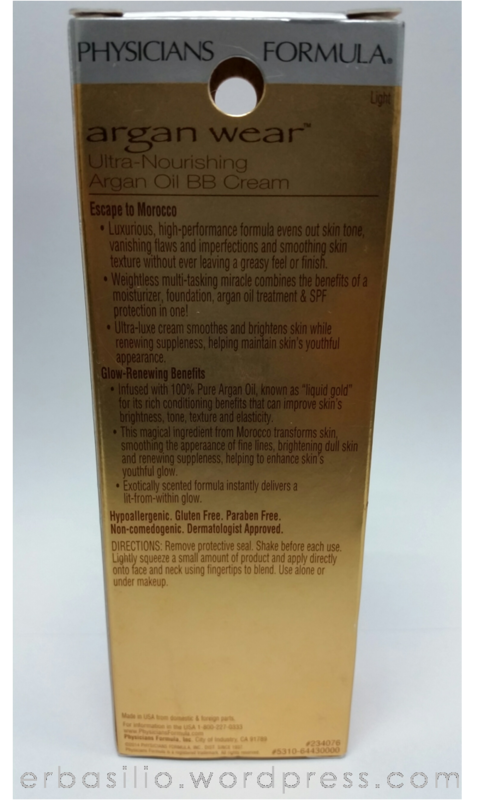 Physician’s Formula’s Ultra Nourishing Argan Oil BB Cream promises both an escape to Morocco with glow-renewing benefits. It has enhanced the BB Cream by infusing it with the liquid gold of this generation. 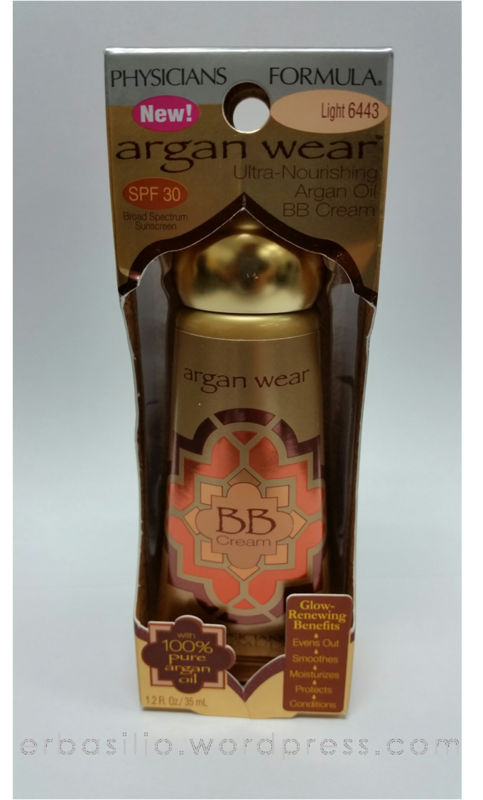 After I have been introduced to Physician’s Formula’s Argan Oil BB Cream, I switched it immediately with my daytime moisturizer. After the first few tries, I noticed changes at first (like breakouts on my forehead) but after using it for some time (using it for two months straight now), it has changed my pale-looking skin (when not using makeup) into this satin-like finish even when I am not it’s not on my face. Oh how I love, love, LOVE THE PACKAGING! Have I ever mentioned that my favorite color is Gold? Oh well now you know haha! It’s an archetypal, gold-colored tube that has a pointed cover – which is very much fit for its purpose. Well, I think it’s a perfect figure for a product that is advised to be well shaken before using, don’t you? Although I have experiences from other organic products with funky smells, this one’s really not that bad at all. I mean, it does smell different with its natural, leafy kind of scent but it’s not that bad. Besides, the “odd” smell doesn’t stick around that long anyway. I also noticed that even when applied generously, it will still give you the same coverage without making your face look cakey – which makes it an ideal base for the daytime look. Although at some times, I noticed that my face looked a bit oily than the usual (I have to admit on this one, my face is undeniably and extremely oily), so I guess it’s already a piece of advice for girls out there who wants to try this but has the same skin condition as I do. It also has a less-thicker formula than most regular liquid foundation which makes it very much easy to blend even if you are just using your fingers. Sadly, the only shades available for Physician’s Formula’s Argan Oil BB Cream are just two (Light and Medium). But regardless of the shades’ availability, I would still recommend this product as a must-have. As I have mentioned, this product is easy to blend without having to worry for its evenness on your face. That’s why the Argan Oil BB Cream is just wise for those who are looking for the right base for the daytime look (plus points for the SPF 30) and also for those who want to leave their skin glowing even if they are not wearing it or any makeup at all.